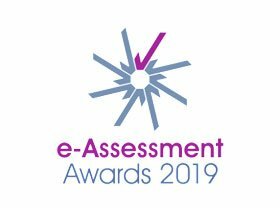 eAssessment Awards 2018 Lifetime Contribution Winner | Angela Verschoor. Angela Verschoor is Senior Researcher at Cito, the Netherlands. With a background in discrete optimization. Her interest is the development and application of, amongst other things, computerized adaptive testing (CAT). Since 1995, Angela has been playing a key role in the development and deployment of CAT-systems, such as the MathCAT for entrance into teachers colleges in the Netherlands (see van der Linden, W. and Glas, C., Elements of Adaptive Testing, pp. 137 – 149) and the Mindsteps for formative testing in Grades 3 to 9 in Northwestern Switzerland (see www.mindsteps.ch). She is currently working on the development of the adaptive algorithm powering the Welsh National Reading and Numeracy Tests, which are formative adaptive tests for school learners from year 2 to year 9. Other recent projects included the introduction of ATA and CAT in, amongst others, Georgia, Russia, Kazakhstan and the Philippines. Angela takes an active role in sharing her expertise with the global assessment community, presenting at a range of international conferences including IACAT and AEA-Europe. She has also published a number of academic papers in conjunction with her Cito colleagues. In 2010 Angela was accredited as a Fellow of the AEA-Europe. Angela’s contribution to such a wide range of operational on-screen adaptive test systems, demonstrates that the approach can be successfully deployed in a wide range of subjects, languages and cultural setting.